There are some moments when a Facebook post cannot be answered in words, or even a photo. For those times, users can now respond to posts through the art of the moving image. In other words, video comments are coming. You’ll now be able to upload videos into comments and replies on your friends’ posts — because your friends need to be able to see you rolling your eyes instead of just imagining it — to create “more engaging and immersive conversations,” as Facebook puts it. 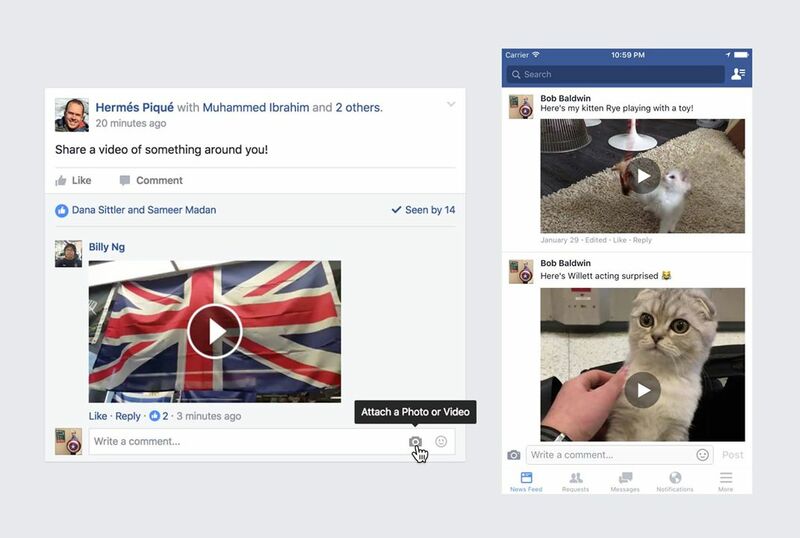 The feature is available now, and could give Facebook a leg up on its main video competition over at Snapchat. According to Mary Meeker’s 2016 Internet Trends report (h/t TechCrunch), Snapchat had about 10 billion user-shared daily video views, while Facebook sat at about eight billion. Videos are the future of internet consumption, TechCrunch notes, citing Cisco Visual Networking Index’s forecast that by 2020, internet video traffic will represent 82% of all consumer internet traffic. Facebook says the video commenting idea grew out of the company’s 50th Hackathon earlier this year, with the company’s team working to “refine and stabilize it” since then.